Explore our library of information and resources designed to help you and your loved ones manage the challenges of heart failure (HF). 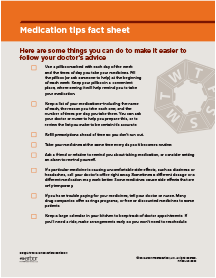 We’ve included downloadable fact sheets, trackers, helpful links, and more. 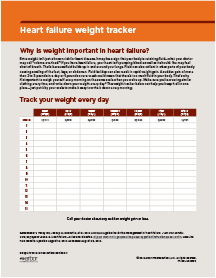 Learn about heart failure-related weight gain and the importance of daily weigh-ins. 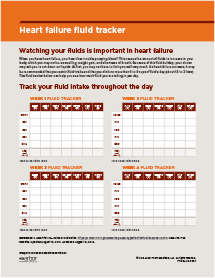 Learn about heart failure-related fluid retention and the importance of tracking daily fluid intake. 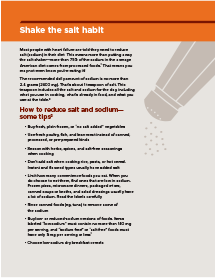 Most salt doesn't come from the salt shaker—learn how to tell which foods are healthier choices for reducing blood pressure and improving heart health. 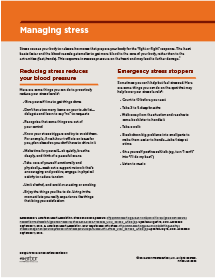 Stress doesn't cause long-term conditions like heart failure, but it can have an impact. See how to help manage stress with music, breathing exercises, and more. Sometimes it's hard to remember all the things you want to cover when you’re at the doctor. 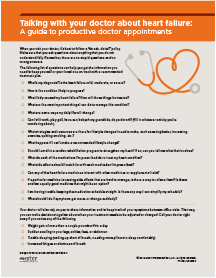 This guide will help you have a more productive appointment. 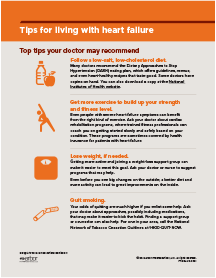 Improving your overall health can help reduce the symptoms of heart failure and may slow the progress of the disease. Here are some healthy living tips that may help. If you have heart failure, it’s important to keep up with all your medications. Here’s how you can stay organized and on schedule. 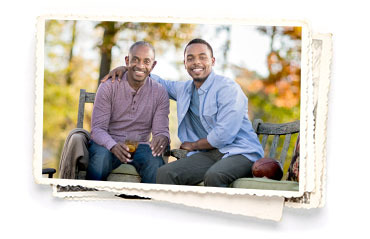 BiDil – the only heart failure medication designed specifically for self-identified African Americans. 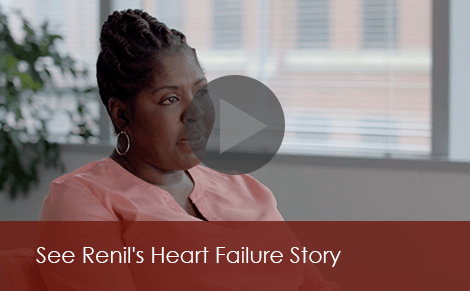 Learn about Renil, a 48-year-old nurse with 5 children, who was recently diagnosed with heart failure (HF). 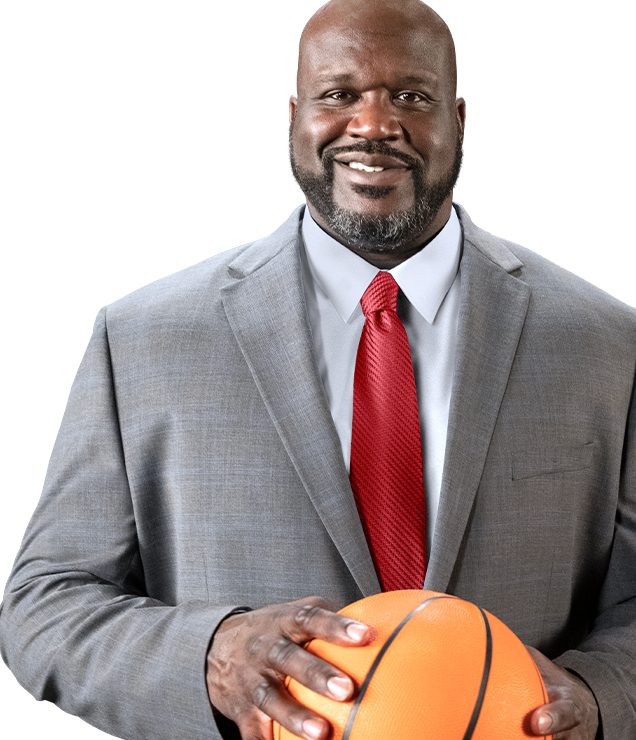 Renil’s physician choose BiDil® (isosorbide dinitrate/hydralazine HCl) as part of an overall treatment plan including routine HF medications. 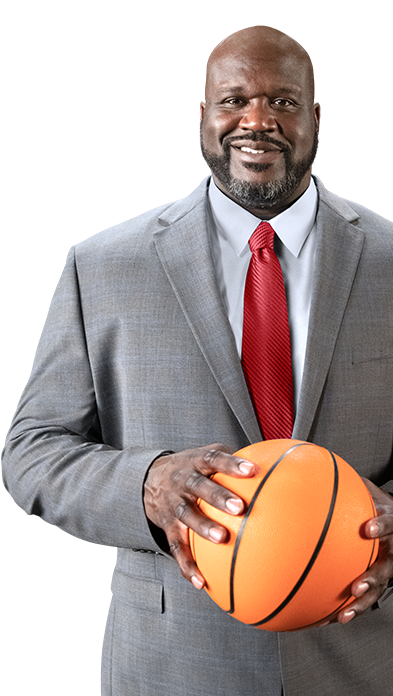 See how BiDil may helpLearn about a heart failure medicine proven to make a difference in the lives of African Americans in A-HeFT. If you or someone you love has HF, you don't have to feel alone. Explore organizations that may be able to help.